Policy-makers and analysts are accustomed to using tools and instruments to help design policy. But, as Dr. John Turnpenny explains, while there are many ‘how to’ guides to using such tools, far less work has been done on how and why they are actually used in practice. If public policy is simply ‘what governments do’, how policies are made is one of the fundamental questions not only for political science but for society as a whole. Who decides, and how? Put simply, as well as identifying desired goals, policy-making involves investigating different alternatives for achieving these goals. This is where some of the most critical decisions are made. But this activity, known as ‘policy formulation’, is relatively difficult to observe directly, and hence to study and understand. One way to find out more about policy formulation is to investigate the tools used in assessing alternative policy options and their possible impacts. These tools, which include scenarios, sets of indicators, computerised models, cost-benefit analysis and multi-criteria analysis, are routinely used to inform the development of new policies. However, comparatively little academic work exists on their use in practice, or the associated politics. Andrew Jordan and John Turnpenny at the University of East Anglia have brought together new work by thirty-eight authors from four continents and many disciplines in an edited collection for Edward Elgar’s New Horizons in Public Policy series. Funded by the European Commission, through its Network of Excellence ‘LIAISE’ and published as Gold Open Access, this is the first book length account of the distinguishing characteristics of the main policy formulation tools, and the factors which explain what they are used for, by whom, why, and with what effects. The book introduces a new conceptualisation and typology of these tools, and then in eleven specially commissioned chapters it rebalances the field of policy analysis by revealing how a ‘tools perspective’ sheds new light not only on the tools themselves, but on how policy is formulated and, ultimately, how it changes direction. There are several important conclusions that emerge. First, there are a huge range of actors involved with tools. In the past, the standard assumption in policy analysis was that it was the state and its constituent organizations that mainly selected and deployed the tools. We argue that this assumption should be questioned. Tool use within government, and using official sources of information, forms just one element: there are many different actors involved in the process including tool designers, academics, special advisors, lobby groups, and consultants. These actors draw upon and deploy a broad range of tools from a wide range of sources. Assessing the richness of these patterns in different contexts provides a sharper picture of how modern policy analysts work within systems of distributed governance. A second important conclusion is there are many factors affecting why, when and how different tools are selected and deployed. An initial explanation might focus on the characteristics of the tools themselves, such as whether they open up or close down debate, or have the technical capability for the task in hand. But there are many more political factors external to the tools, including ideology, electoral politics, policy type, the range of (and relations between) the actors involved, contextual conditions such as the prevailing institutions, and international factors ranging from supra-national agreements to sharing of best practice. Better understanding policy formulation requires a closer exploration of detailed contexts to understand how these factors interact and which dominate in particular cases. Third, there is often a difference between how tools are intended to work in theory, and how they actually work in practice. Tools have the capability to promote both immediate and longer-term learning about policy problems, but they can also be used symbolically and strategically to justify existing decisions, or delay decisions. They can also widen the debate by legitimating new means to achieve policy goals, restructuring actor preferences, and bringing in – or marginalising – particular actors. Observing both the intended and unintended effects of tools can reveal the multiple rationalities that motivate policy formulation actors to use particular tools, and the meanings given to tools by the actors that use / are affected by them. The ways that tools are used also reveals how they build capacity for policy formulation – that is, the ability to gather sufficient resources to make informed policy choices. 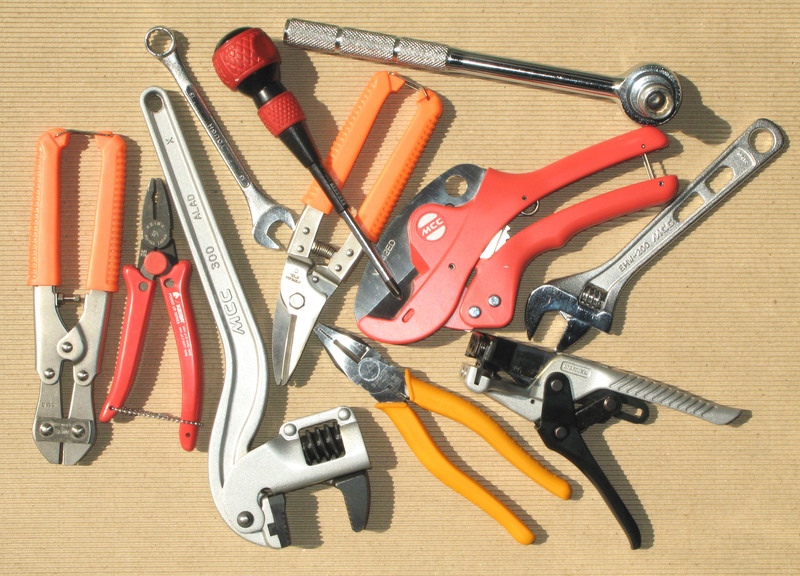 Since the 1960s, development and use of tools has proceeded almost disconnected from mainstream research on policy formulation and policy change. Now is a good time to try to bring these areas of work back together and look at policy formulation tools in a new light. John Turnpenny is a Senior Lecturer in Public Policy at the University of East Anglia, and co-editor of The Tools of Policy Formulation: Actors, Capacities, Venues and Effects published as Gold Open Access by Edward Elgar, through ElgarOnline.